(tie) 25] CB Al Harris (2003-2009) – One of Mike Sherman’s few good personnel decisions as general manager, the former backup with Tampa Bay and Philadelphia brought much-needed cover skills and toughness to the defense. He’ll be remembered for his pick-6 against Matt “We’ll want the ball, and we’re going to score” Hasselbeck that beat the Seattle Seahawks in the 2003 playoffs, but it was his ability to survive on an island without ideal size and speed that I’ll always admire most. (tie) 25] DL Mike Daniels (2012-present) – He went to his first Pro Bowl following last season, but he’s played at that level for the past four seasons. The former Iowa star is three inches shorter and about 20 pounds lighter than the average 3-4 end, but his strength, technique and non-stop motor allows him to beat bigger offensive linemen on a consistent basis. He figures to be even better in new defensive coordinator Mike Pettine’s flexible schemes, and that should allow him to move up on this list in the next few years. 24] OG Mike Wahle (1998-2004) – Ron Wolf gambled a second-round pick in the 1998 supplemental draft on the former Navy star, who was coming off a suspension. After a disastrous rookie season at left tackle, he soon developed into one of the best guards in the entire NFL. Blessed with a rare combination of size, strength and athleticism, he was able to handle both powerful defensive linemen and speedy linebackers. 23. OG T.J. Lang (2009-2016) – His final season with the Packers was arguably his best, and it pushed him onto this list. The former fourth-round pick from Eastern Michigan played at a consistently high level in 2016 despite dealing with all kinds of injuries. Coming back from a broken foot in three weeks was only surprising to people who didn’t know him. 22] RT Mark Tauscher (2000-2010) – He was one of the most underrated offensive linemen of his time. 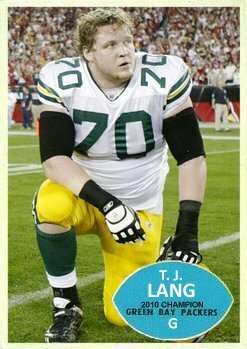 The former Wisconsin star was a lowly seventh-round draft pick who looked like the Pillsbury Doughboy but played like a Pro Bowler for over a decade. Quick feet and the ability to recover made him difficult to beat in pass protection, and while hardly a road grader, he was more than adequate in the run game. 21] TE Paul Coffman (1978-1985) – He was signed as a free agent by the Packers after one of their scouts went to Kansas State to work out another player prior to the 1978 draft. He was small and slow for the position even back then, but that didn’t stop him from being a solid positional blocker and a legit threat with the ball in his hands (12.8 yards per catch). Despite his humble beginnings, he’s still the team’s best all-around tight end since the Lombardi era. 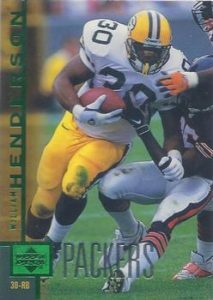 20] FB William Henderson (1995-2006) – Fans and the media were highly critical when Wolf drafted this unknown player from North Carolina in the third round in 1995, but they weren’t complaining a few years later when he blossomed into arguably the best fullback in the league. It’s hard to believe he went to just one Pro Bowl in 12 seasons. It’s even harder to believe John Kuhn – an inferior player – has gone to four. 19] John Anderson (1978-1989) – Because of all the losing Green Bay did in the 80s, a lot of good players from that era tend to be underappreciated. The former Michigan star is a perfect example. He overcame injuries early in his career to start 77 consecutive games between 1981 and 1986. Some scouts compared him to Hall of Famer Jack Ham prior to the 1978 draft, and while he was never that special, he was without question one of the top all-around outside linebackers of his time. 18] Bryce Paup (1990-1994) – One of Tom Braatz’ and Lindy Infante’s best picks, the sixth-rounder from Northern Iowa had 32.5 sacks between 1991 and 1994. But he was more than just a pass rusher. He also played the run effectively and was comfortable in space. He was a better “elephant” than Julius Peppers. He signed as a free agent with the Bills in 1995 and was named Defensive Player of the Year that same season. 17] Chad Clifton (2000-2011) – He started 160 games over a dozen seasons and went to a pair of Pro Bowls despite not blocking a soul in the run game since he was in high school. That’s how truly special he was in pass protection. Blessed with ideal size, remarkably quick feet and terrific balance, he made defensive ends disappear on a weekly basis. 16] WR Greg Jennings (2006-2012) – He didn’t leave under the best of circumstances, but that shouldn’t diminish his legacy. Yet another unpopular high pick who went on to achieve great success. He didn’t have ideal size or speed, but he just knew how to play the position. He understood how to set up defensive backs and open their hips before snapping off his routes. 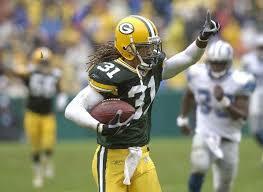 Green Bay doesn’t win Super Bowl XLV without him. 15] Tim Harris (1986-1990) – He hated every minute playing for the woebegone Packers, but that didn’t keep him from producing 55 sacks in six seasons, including 19.5 in 1988. Stopping the run was always an afterthought, but he was a terrific pass rusher. The former fourth-round pick from Memphis was a natural knee bender with an outstanding closing burst and short-area explosion. He eventually forced a trade to the San Francisco 49ers in 1991 and earned a Super Bowl ring three years later. It’s an absolute joke that he’s still not in the Packers Hall of Fame. 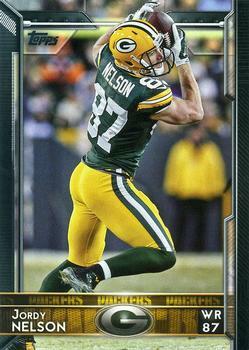 14] Jordy Nelson (2008-2017) – Many fans scratched their heads when Ted Thompson drafted the former Kansas State star in the second round in 2008, but he eventually developed into one of the 10 best players at his position in the league. The offense came to a screeching halt without him three years ago, and not coincidentally came back to life upon his return from successful knee surgery in 2016. 13] Marco Rivera (1996-2004) – Despite watching nearly every game he played in college, I still thought the sixth-round pick would be a career backup. Needless to say, I was wrong. The former Penn State star was one of the best guards in the NFL before back injuries slowed him down. At his best, the 300-pounder used strength and technique to move bigger men in the run game and slow down faster men in pass protection. 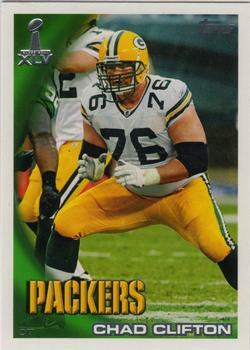 12] Josh Sitton (2008-2015) – His long and distinguished career with the Packers came to a shocking end when he was abruptly released along with 17 other players only days before the start of the 2016 season, but that won’t keep him from being remembered as one of the top 10 interior offensive linemen in franchise history. That’s how good he was from 2010 to 2015. The three-time All-Pro was extremely powerful in the run game, and when healthy, almost impossible to beat in pass protection. 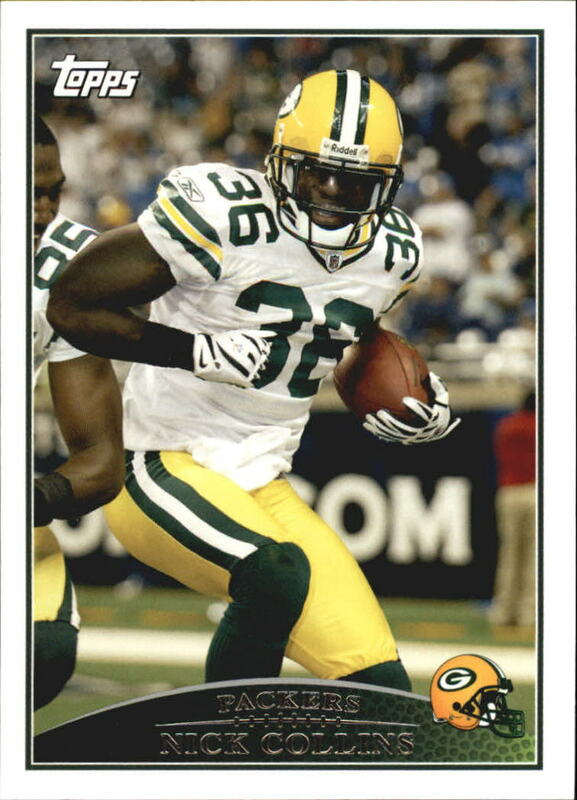 11] Nick Collins (2005-2011) – It took a while for the second-round pick from Bethune-Cookman to find his way in the NFL, but when he did, boy was he fun to watch. He was the rare safety who could tackle at the line of scrimmage and cover receivers down the field. 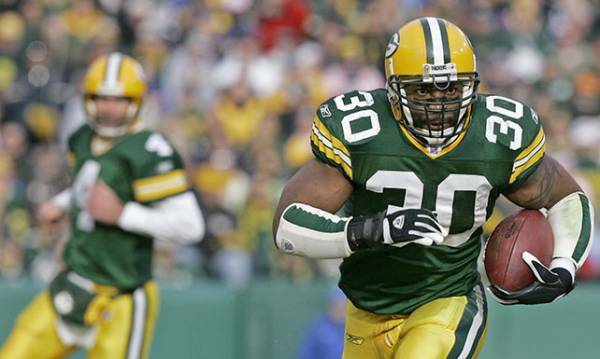 He’ll be inducted into the Packers Hall of Fame this summer. If not for a neck injury that ended his career at 28, he might’ve wound up in that other Hall. 10] LB Clay Matthews (2009 – present) – Only 32 years old, the former No. 1 pick from USC still has a chance to move up on this list. It’ll be very interesting to see how the 2-time All-Pro and 6-time Pro Bowler performs under Pettine. When healthy, he’s a talented and hard-working player who’s been able to put up impressive stats despite lining up opposite and alongside quite a few stiffs during his time in Green Bay. 9] WR Donald Driver (1999-2012) – I generally valued performance over longevity while compiling this list, but sometimes playing really well for a really long time was impossible to ignore. This former seventh-round pick from little Alcorn State is the perfect example. Greg Jennings and Jordy Nelson are probably better wide receivers, but they simply can’t be ranked ahead of the franchise’s all-time leader in receptions (743) and yards (10,137). He also scored 61 touchdowns for good measure. 8] RB Ahman Green (2000-2009) – He’s one of the most underrated players to ever wear a Packers uniform. From 2000 to 2004, the former Nebraska star was as productive as any running back in the National Football League. 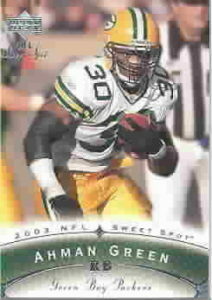 He amassed five consecutive seasons with over 1,000 yards, including a franchise-record 1,883 in ’03. He was also a dependable blocker and a legitimate threat in the passing game. It’s still hard to believe he was acquired from Seattle for cornerback Fred Vinson. 7] WR Sterling Sharpe (1988-1994) – While he never endeared himself to Packers fans, the team’s No. 1 pick in 1988 would be in the Pro Football Hall of Fame had it not been for a neck injury that ended his career at age 29. In seven seasons, he caught 595 passes for 8,134 yards and 65 TDs. He was selfish, but his talent and his toughness can never be questioned. He couldn’t practice and he could barely run due to a serious and painful toe injury in 1993, and yet he still had over 100 receptions. 6] SS LeRoy Butler (1990-2001) – You can make an argument for Sharpe, but no Packers in the past 40 years is more deserving of a yellow jacket than this all-everything safety from Florida State. He played the run and rushed the quarterback like a linebacker, and he covered like a corner. He finished his career with 20.5 sacks, 38 interceptions and a place on the 1990s All-Decade Team. And oh yeah, he invented the Lambeau Leap. 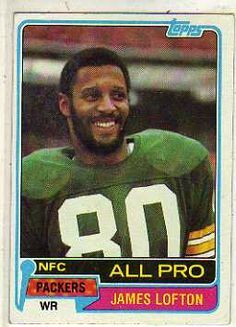 5] WR James Lofton (1978-1986) – Had it not been for a pair of very serious off-the-field issues that led to his trade to the Raiders in 1987, he might well be regarded as one the greatest Packers ever. 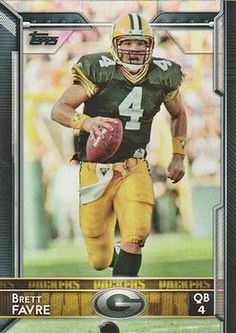 He had over 1,000 yards receiving in five of his eight seasons in Green Bay, and he didn’t get to play with a quarterback like Brett Favre or Aaron Rodgers. The former Stanford star was big, fast and as graceful as a ballerina. 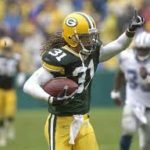 4] Charles Woodson (2006-2012) – The former Heisman Trophy winner from Michigan signed with Green Bay as a last resort in 2006, and he played like he wanted to be anyplace else in his first summer with the Packers. But instead of turning into the next Joe Johnson, he wound up becoming one of the greatest and most beloved players in the history of the franchise. While his skill level at cornerback was extraordinary, his leadership was every bit as important to the team’s success. 3] Reggie White (1993-1998) – He wasn’t in his prime when he famously signed with Green Bay as a free agent in 1993, but he was still one of the best defensive players in the league. More importantly, he made a team that hadn’t won a thing in a quarter century believe it could be great again. And while it was a treat to watch the “Minister of Defense” play for the Packers, if you really want to see him at his best, check out his work with the Eagles. It’s hard to imagine any D-lineman ever being so dominant in every phase of the game. 2] Brett Favre (1992-2007) – While his ill-timed interceptions in the playoffs were upsetting and his departure in the summer of 2008 was infuriating, there’s simply no denying what No. 4 meant to the Packers. After being acquired in a trade with Atlanta in 1992, he quickly became the face of a franchise that hadn’t had an identity since LBJ was in the White House. He, along with White, Wolf, former team president Bob Harlan and former coach Mike Holmgren, put the “title” back in Titletown. 1] Aaron Rodgers (2005-present) – It’s hard to imagine putting anyone ahead of Favre on this list, but his successor at quarterback definitely deserves the honor. In fact, No. 12 has a chance to someday be at the top of another list – the list of greatest signal callers in the history of the NFL. He’s already there based on talent and statistics alone, but he’ll have to win at least one more Super Bowl in order to leapfrog the likes of Tom Brady, Joe Montana, Johnny Unitas, Peyton Manning and John Elway.